Spotify announces 20 million subscribers, 75 million active users | What Hi-Fi? Nicely-timed after the Apple Music launch, Spotify says it has doubled its number of paying subscribers over the last 12 months, and also raised fresh funding. Spotify says as of June 2015 it now has 20 million paying subscribers and 75 million active users - people who have signed-up for Spotify and use the service but don't pay for the privilege. This is up from 10 million subscribers and 40 million users in May 2014. This dwarfs the number of subscribers on rivals such as Deezer, Rdio, Tidal and Qobuz. iTunes, by comparison, has more than 800 million accounts, a nice user base for Apple Music to target. 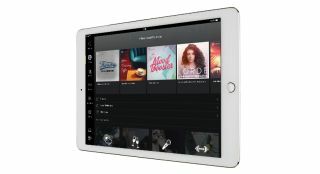 The news follows the launch of Apple's eagerly-awaited entry in to the streaming market on Monday. Spotify CEO Daniel Ek greeted the Apple launch with a two-word tweet saying "oh ok", which has since been deleted. Spotify says the increased number of users means increased royalty payouts for the artists. Figures released by Spotify suggest a 'typical one year payout per artist' based on 20m paying subscribers would now be between £1.2m for a niche artist right up to $13.9m for a top 10 artist. Spotify claims to have now paid more than $3 billion in royalties, including more than $300 million in the first three months of 2015. The streaming music market-leader has also secured the biggest funding round in its history, raising $526m. Spotify’s total funding is now more than $1 billion - despite the company recording an operating loss of £119m in 2014 compared to £65.7m in 2013.